On Thursday morning, Democratic presidential candidate and former Secretary of State Hillary Clinton appeared before the House Benghazi Committee. Clinton's testimony has been long-awaited in light of her use of a private email server during her time as Secretary of State. Though this is presumably a big day for Clinton, she appeared pretty over it as Committee members made their opening remarks. Perhaps she is done with this whole email escapade, or maybe she has heard too many opening remarks in her life, and just couldn't take any more of them this close to the weekend. 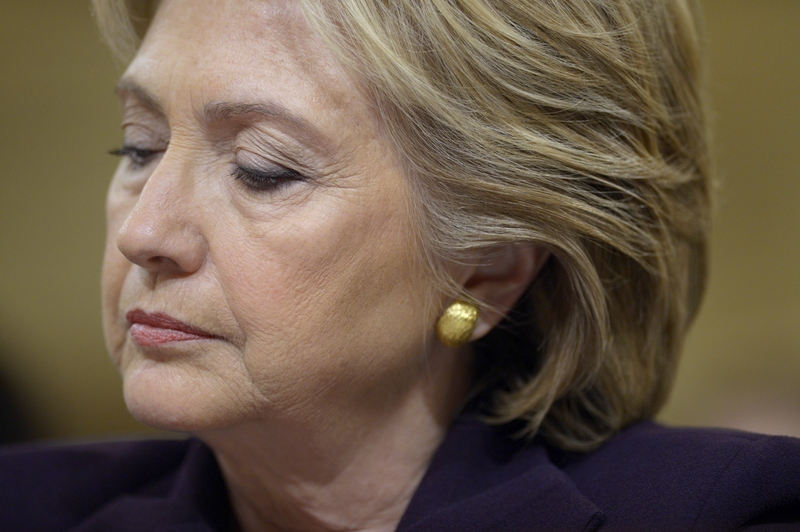 Regardless of the reason, Clinton looked bored as hell at her Benghazi hearing. The hearing is clearly a serious matter, and Republicans on the Committee are insistent that they want to learn the truth about the attacks. Democrats have contended that the hearings have been about derailing Clinton's campaign in order to benefit the Republican candidates. There's been a lot of back and forth. For about a year. Maybe two. This is hopefully the last step. Clinton probably can't believe she's here after so long. And she's #OverIt. Yep. HRC clearly just wasn't feeling it.